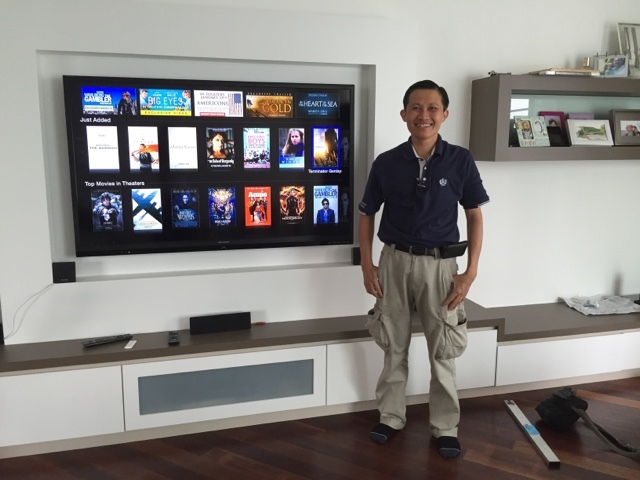 For those who have experienced moving to a new place and waiting for their new TV to be installed can understand the excitement and the trouble of hanging big flat screens. Hubby tried to do it himself however the screws that came with the bracket we bought were not decent so we decided to leave it to the experts. We recently bought a 60" inch tv and thankfully we found Eric, who came to install it. He came with his assistant and all I can say is I am thankful to have found him. Very prompt, replies back through SMS and very clean job. No mess. And when I requested for a little bit of help in drilling some stuff in the toilet -- he was so kind to do it! Definitely highly recommended. 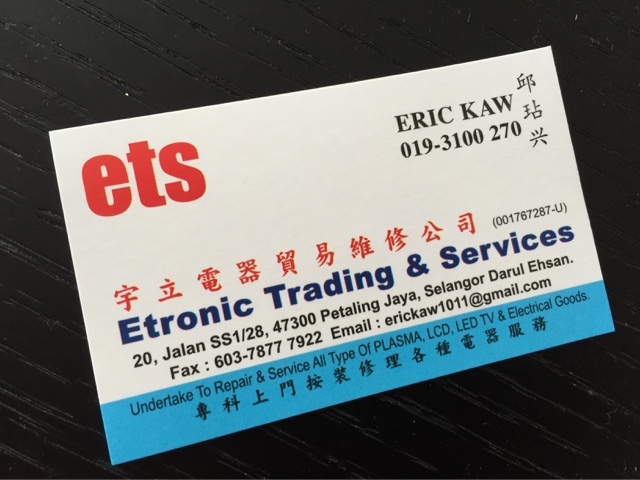 He also does TV repair and Astro Installations. 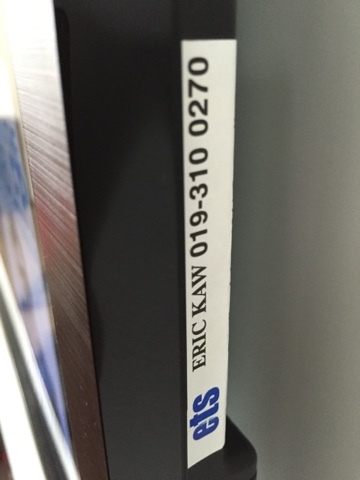 He adds a sticker behind the TV he installed for future possibilities. Smart man. 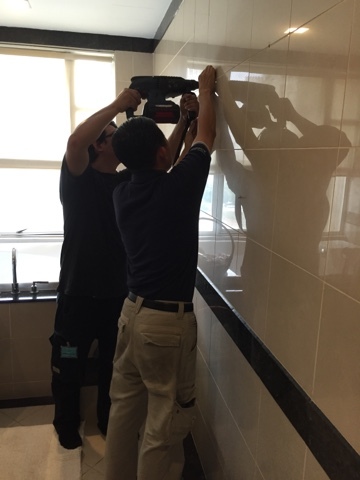 Eric and his assistant helping us to drill a drying rack in the toilet. Very kind of him! All smiles ERIC after he installed our 60 inch tv. His business card if you need to contact him!